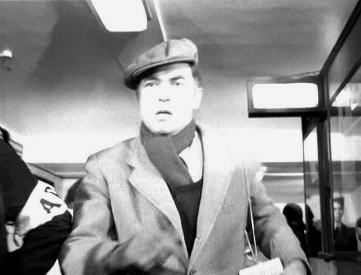 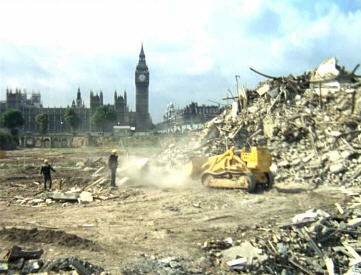 In this episode of the late-1960s adventure series, a body is found on a derelict site on the south bank of the River Thames, opposite the Houses of Parliament. 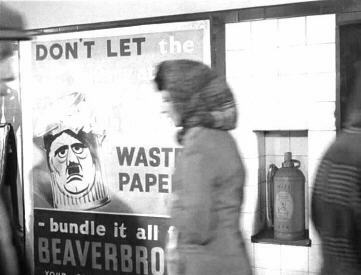 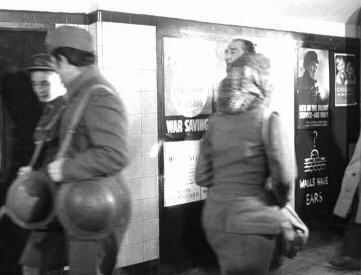 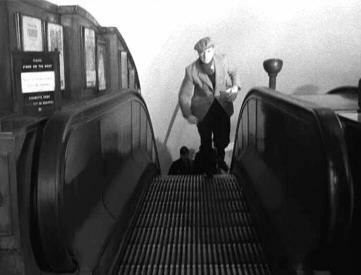 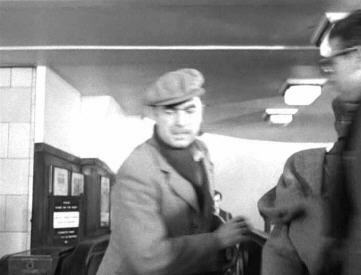 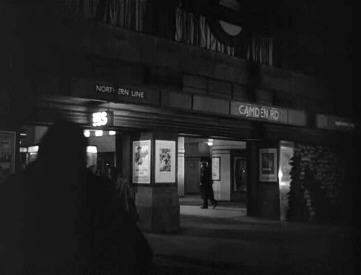 His death is shown in a monochrome flashback sequence, after he is pursued from "Camden Road" Northern Line station. 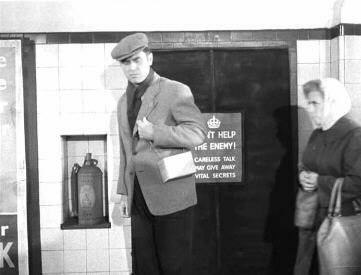 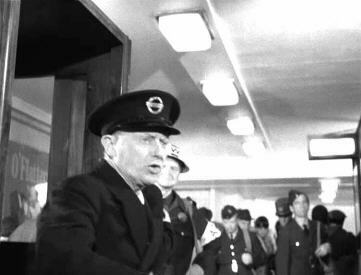 The station exterior (image 2) is stock footage from the 1952 feature film The Gentle Gunman, apparently the real "South Wimbledon," with the addition of the "CAMDEN RD" name on the facade, and heavy curtains behind the large windows above the entrance. 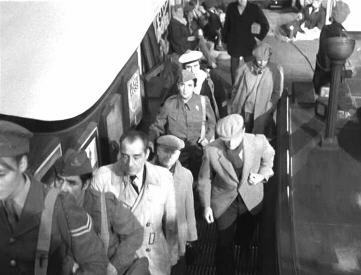 Image 3 is stock footage, while the passageways seen in images 4-6 are probably a studio set. 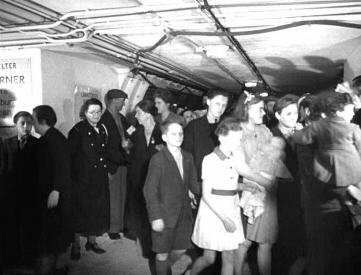 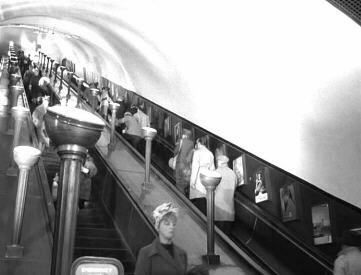 The escalators and ticket hall seen in the remaining images (7-12) have not yet been identified, but are certainly not "South Wimbledon."